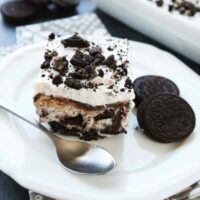 Oreo Ice Cream Dessert - Dessert Now, Dinner Later! 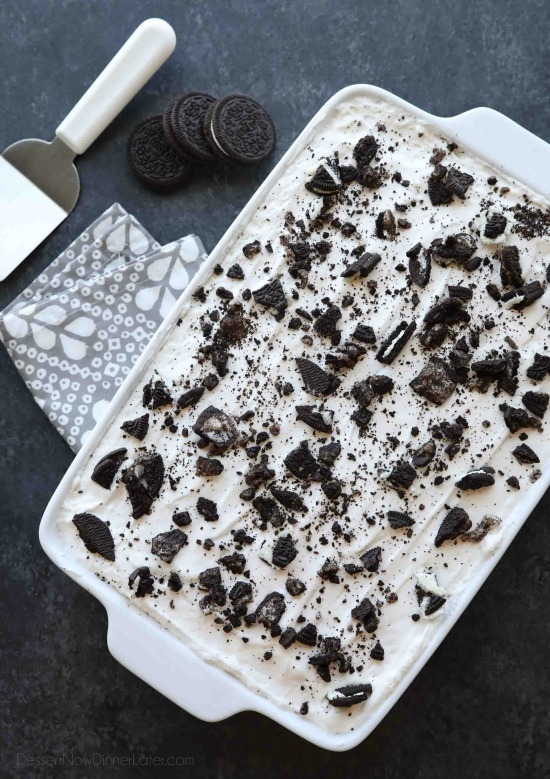 This Oreo Ice Cream Dessert has layers of cookies and cream goodness! It’s easy, no-bake, and perfect for summer! 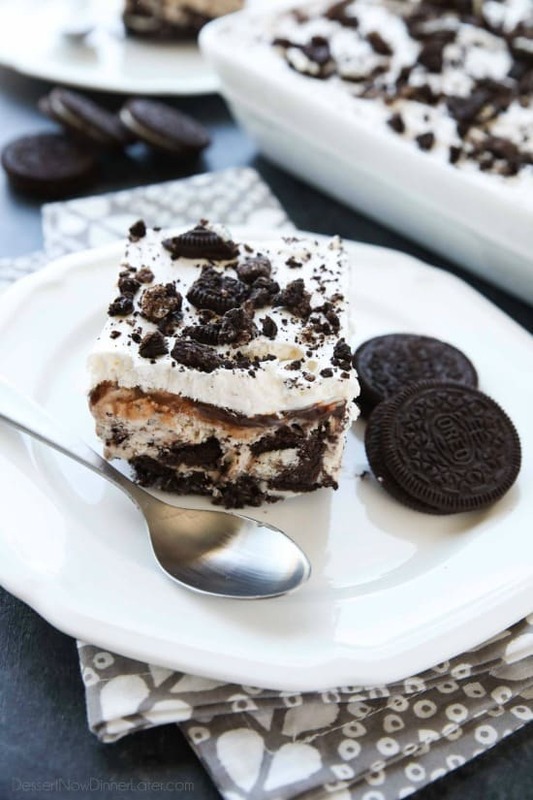 It’s been far too long since I’ve shared an Oreo dessert with you. It is my favorite packaged cookie of all time and I’m obsessed with anything cookies and cream. 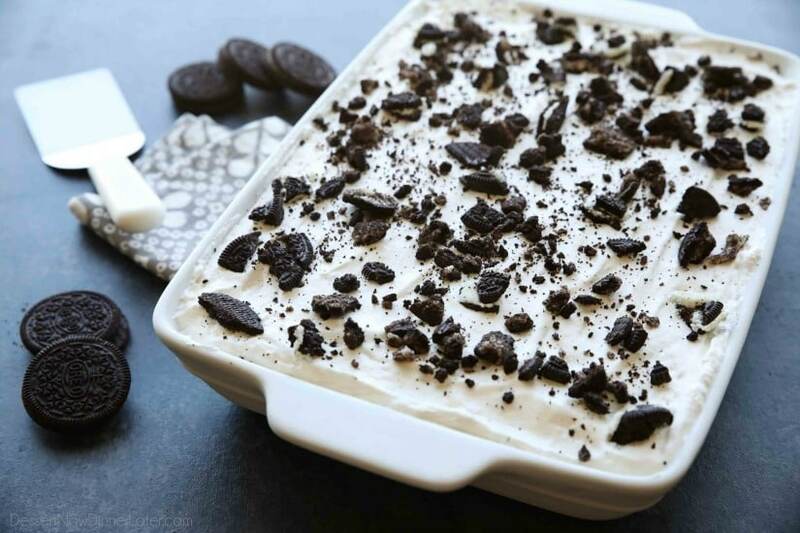 This Oreo Ice Cream Dessert is loaded with cookies and cream goodness. It’s fast to make and it’s no bake! Think ice cream cake, but easier! 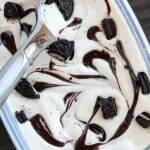 The layers of this Oreo ice cream dessert are rustic and delicious: broken up cookies, softened ice cream, melted hot fudge, whipped topping, and more broken cookies. You can’t get easier than that! 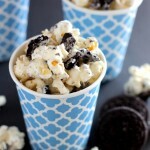 Cookies and cream ice cream has always been my favorite! I’m highly considering this for my birthday dessert next week. I know my kids wouldn’t mind eating it again! There’s literally nothing better than an easy, no-bake dessert in the summertime. 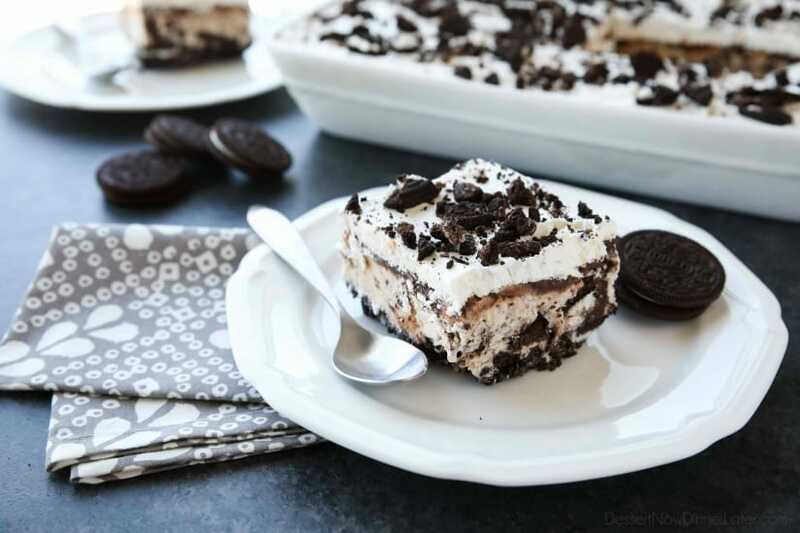 This Oreo ice cream dessert looks pretty enough to serve a crowd too! Bring it to your next barbecue, potluck, or party! You won’t regret it! Place cookies in a gallon size zip-top bag. 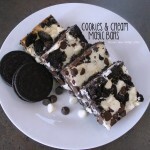 Using a rolling pin, crush Oreos into medium sized chunks (not fine crumbs). Reserve 1 cup for topping and set aside. Add melted butter to the remaining crushed Oreos and flatten onto the bottom of a 9x13-inch baking dish. Spread soft ice cream into an even layer over the crushed cookie crust. I cut out rectangle pieces with a knife, and smoothed them together. Freeze until set; time will depend on how soft the ice cream is. Remove lid and warm fudge in the microwave until a spreadable consistency; about 45-55 seconds. Drizzle over the ice cream and spread evenly with a spatula. Freeze until set; about 30 minutes. 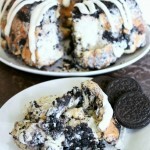 Top with whipped topping and crushed Oreos. Freeze for 2 hours or until firm. Remove from freezer 10 minutes before serving. Dip knife into hot water to make slicing easier. Wipe blade clean periodically with a paper towel. Enjoy!